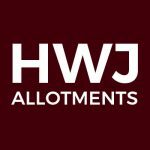 The following history of allotments in Newcastle upon Tyne has been prepared for the Newcastle Allotments Working Group and Newcastle City Council and was published on the Newcastle Allotments Working Group website. Newcastle, traditionally, was a city of gardens: maps of the eighteenth-century city show extensive areas of gardens, orchards and open land within its medieval walls; and even as industrialisation took hold and the city centre was built up – after the Grainger developments of the 1830s – the City still possessed large areas of small gardens, the equivalent of the ‘guinea gardens’ around Birmingham and other midland cities. Two extensive areas of small gardens or allotments flanked the City to west and east in the mid nineteenth century: Lax’s Gardens, in the area now occupied by the Newcastle University campus; and the steep and picturesque banks of the Pandon Burn, now buried beneath the Central Motorway. The first edition Ordnance Survey 1:2500 maps, dating from the 1850s, show small pockets of allotments in other areas of the city – including the surviving plots at Summerhill Square. However, by the closing years of Victoria’s reign the situation was very different. The City now sprawled for miles; and by 1890 the Pandon Dene gardens and Lax’s Gardens had been more or less entirely swept away, and had not been replaced elsewhere. Outlying mining villages, however, often had allotments either attached to pit cottages or provided close by. The issue of urban allotments was politically and socially important. Gardening – or at any rate, the nurturing of plants wherever space allowed – was a popular pastime among the urban working classes; while middle class social reformers saw the provision of allotments as a form of ‘rational recreation’ for their social inferiors, infinitely preferable to the alternative attractions of gambling or drink. Legislation had been passed in 1887 – somewhat half-heartedly – enabling (but not compelling) authorities to make provision for smallholdings and allotments; the pressure was now for provision in the cities. However, the first provision in Newcastle came not from the Corporation but from self-help bodies. In 1890 the Northern Allotment Society was founded by a group of horticultural enthusiasts on Tyneside to promote allotment provision. Failing in an attempt to lease land at Cleadon, members of the Society bid successfully for a ten-acre intake of the Town Moor in September of that year at the Nuns’ Moor, an area laid out as the Nuns’ Moor Allotments. At the same auction of intakes, a separate group was successful in winning a lease to an intake of land opposite Oxnam Crescent in Spital Tongues. Other private groups began to create allotment gardens, including one in a disused quarry at Bentinck Road, Elswick. Parliament eventually responded to this growing urban demand by passing the Small Holdings and Allotments Act in 1908, consolidating earlier legislation and boosting the provision of allotments in urban areas. The question of municipal provision had arisen at least as early as 1905, as a result of Newcastle’s incorporation the previous year of the urban districts of Benwell & Fenham and Walker Urban Districts. Benwell & Fenham had been an early provider of allotments, leasing land for 63 plots in 1895. However, this lease expired in 1905 and Newcastle Corporation proved dilatory in making further provision. Only in 1908 as a Small Holdings and Allotments Committee formed. This quickly identified a demand for land – 70 applications for allotments had been received, and 104 for smallholdings; but, asserted Councillor Tiplady, “The people wanted the land; and, after the Act had been in existence twelve months, the Newcastle Council had done practically nothing”. An attempt to lease a 14 acre field at Benwell from the Blackett Ord estate fell through, and the committee’s attention was subsequently directed at the provision of smallholdings at East Denton. The First World War was to prove the catalyst in allotment provision, and in particularly the U-boat war in the Atlantic Ocean, which, by cutting Britain’s food supplies from overseas, gave urgency to maximising home food production. In late 1916 the new Lloyd George Government made the Cultivation of Lands Order, empowering allotment authorities in urban areas to seize land for allotment uses. By late March 1917 25 sites had been set up under CLOs, providing 1,396 plots, and by the closing months of the war, the Council had been instrumental in creating 55 allotment sites, covering 200 acres and providing 2,900 allotments. Much of the initiative came from ad-hoc groups of potential cultivators; for example, the Fenham Estates Company (an offshoot of the Northern Allotment Society) made undeveloped and on its estate available free of charge for allotments in response to requests from local residents. By June 1918 there were 372 acres of cultivated land in the City, divided into 5,263 allotments, compared with a pre-war figure of 106 acres and 1,450 allotments. Demand for allotments did not cease with the Armistice in November 1918; almost immediately allotment holders were requesting security of tenure on their sites, and in September 1919 the Board of Agriculture urged local authorities that sites obtained by CLO “should if possible be put upon an ordinary tenancy basis, or better still a lease secured or the land acquired for permanent allotments”. The Council was entitled to hold the land it had seized until 1922, and the majority of landowners affected agreed to the further retention of their land for allotments; where voluntary agreement couldn’t be reached, the Council used compulsory powers of acquisition. Nevertheless, as land was required for building purposes – not least the Council’s own municipal housing programme – the number of CLO allotments had fallen to 1,959 by April 1922. During the 1920s and 1930s a good deal of attention as given to acquiring land for ‘permanent allotments’, and the first such site was set up at Fenham Nursery, although problems in administration led to part of the site being surrendered for municipal uses – including Fenham Library and Baths. The economic depression which badly affected the north east during the interwar years placed further strains on Newcastle’s allotment services. By 1931 the Small Holdings and Allotments Committee was attempting to co-ordinate the provision of allotments and supplies for unemployed men, and sought to purchase land at Crawhall Road for that purpose, only for an application for central government funding to be refused owing to “the present financial position and the paramount necessity for economy in public expenditure”. Nevertheless the Council was able to provide parcels of land for the unemployed in various parts of the City, including Walker Dene and Denton Dene, which was administered not by allotment associations but by voluntary bodies such as the Tyneside Council for Social Service and the Newcastle Unemployed Persons’ Recreational and Educational Committee. At the urging of the National Land and Unemployment Council, the Council went ahead and bought the Crawhall Road site in 1933, seeking to force the Treasury into lifting the ban on grants for allotments for the unemployed. Unfortunately, the Treasury mandarins were unmoved; but at least the land was available for use. A change in attitude came with the appointment in 1934 of the Commissioner for the Special Areas (England and Wales), who had limited powers to support relief and job creation schemes in the depressed areas, which included north east England. His remit included the making of grants to purchase land for allotments; and the allotment committee moved rapidly to lease ten further acres of land at Walker Dene, against the initial opposition of the Town Moor and Parks Committee. Astonishingly, during this period of economic hardship, the Town Moor and Parks Committee began pressing for the removal of large areas of allotment gardens located on Town Moor land alongside the Great North Road, a move which aroused concern in Whitehall and causing the Minister of Agriculture to express his “regret” at the Town Moor Committee’s obduracy and reminding the Council of its duty to find alternative sites for the holders to be displaced. This episode may in part have contributed to the strength of feeling expressed in a Ministry of Agriculture circular of June 1939, deploring the decline in allotment numbers in England and Wales, and urging that authorities “should regard allotment land as the last site to be appropriated for … other purposes rather than the first, and further expressing the view that the provision of land for other purposes, however important, should not be made at the expense of allotments except as a last resort”. Once again, the advent of World War was to change utterly the allotment scene in Newcastle as elsewhere in the country. The Cultivation of Lands Order 1939, made on 1st September, like its 1916 predecessor enabled Councils to seize land, and by mid 1941 there were 2,170 ‘wartime allotments’ in the City. The ‘Dig for Victory’ effort was bolstered by the provision of lectures, leaflets, a municipally-sponsored annual Vegetable and Flower Show, and two ‘Dig for Victory’ exhibitions at the City Baths. In addition, rules on poultry keeping were relaxed, and pig clubs were encouraged. The coming of peace did not bring any let-up in official encouragement of allotment keeping. Food shortages were still rife in the immediate postwar years, and ‘Dig for Victory’ gave way to the rather less snappy ‘Grow more Food’ campaign, the Ministry of Agriculture pressing Councils, without conspicuous success, to secure extra land for allotments. However, pressures on allotment holders were beginning to mount, as dispossessed owners began to request the return of their land for building or other purposes. In the latter class were the nuns of the Order of La Sagesse, who in 1946 sought the return of land at The Towers, Jesmond, which they had bought for a school – the first of several such applications to be refused, although the nuns claimed that the gardeners’ presence “deprived the school of much of the privacy which was essential for a girls’ school”. The wily Mother Superior took instead to guerrilla activity, having the gates of Jesmond Towers locked, so that “members had to climb over the brick wall”, and ignoring letters of protest. Demoralised, the allotment holders gave up the site in 1950. They were far from being alone. The postwar history of Newcastle’s allotments, like that of the country as a whole, has been until recently a history of managed decline. From a figure of 5,298 plots in 1948, Newcastle had 3,319 in 1963, c.3,100 in 1987, and 3,396 in December 1992. However, a decline in numbers went along with energetic moves to improve the appearance of and facilities available at the sites. From the 1950s onwards much attention was given to the planning and provision of ‘model allotments’, with up-todate fencing and drainage, well-designed sheds and storage areas, pathways, water supply, communal facilities and toilets. The first model allotments were to be located at Denton Dene, until it was found that the site was unstable, overlay an underground fire and was prone to the eruption of “noxious gases”. Attention then turned to the Fenham Nursery site. Certain points stand out. The first is the attempt to unify allotment administration in the City. Not all Council-owned allotments were under the control of the Small Holdings and Allotments Committee and its successor bodies. Prior to 1954, when the Small Holdings Sub Committee as to Allotments took over management, the Housing, Cleansing, Fire Services, Education, and Town Moor & Parks Committees had all had their own allotments estates, small and large. There were also allotments of private sites, notably railway land (the committee took over a string of sites along the proposed, but never executed, line of a railway across Walker from British Railways by 1953). Even after 1954, the Town Moor & Parks Committee, so often at loggerheads with Allotments, retained an interest in Town Moor allotments, working with the Stewards Committee of the Freemen of Newcastle upon Tyne to remove allotments from the Great North Road. Some allotment sites disappeared altogether; others lost strips of land as the Freemen and Town Moor Committee sought to recreate the former ‘Green Walk’ along the road. An important feature of the allotment regime in Newcastle was the practice of management through local allotment associations responsible for the day-to-day running of individual sites. This was unusual in the national context, where many authorities rent plots directly to individual holders without any ‘devolved’ authority. But a more singular factor still was the Town Moor and the joint governance of the Moor by the Council and the Freemen. Although the Freemen only own grazing rights to the Moor, while the land itself is owned by the Council, the Freemen have an important voice in the letting of intakes and of other parcels of Moor land, and throughout the postwar period they have sought to reduce the number of allotment sites. In particular, they sought the restitution of wartime sites, of which there were around 40 acres in 1940, handed over without written agreement, and the Freemen were not consulted on allotment provision in the drawing up of the 1951 Development Plan for the City. Over subsequent years significant sites were nibbled away or done away with wholesale, including: Hunters Moor (1940) in 1959, Moorhead in stages between 1961 and 1966; Richardson Road South in 1962; while Hunters Moor and Castle Leazes (North) and (South) were reclaimed in 1996-97. The Freemen also decided to reduce the tenancy agreements for remaining wartime sites – South Highbury, Little Moor, Moorside, Kenton Road – to one-year agreements. Further conflicts arose with the rise of town planning as a civic responsibility. An early scheme in the 1920s reserved 79 acres for allotments in the western part of the City. But only after the Second World War did town planning become a statutory duty. The first City plan, authorised by the Town and Country Planning Act 1947, was produced by the City Engineer, Percy Parr, in 1951. Parr was an engineer rather than a planner, interested primarily in roads, and the Allotments Committee had to push hard to ensure their voice was heard in the planning process, resolving in September 1950 to inform the Town Planning Committee that they should be involved, having previously been told by Parr that there was “no specific provision for allotments” in the plan, “yet”. Eventually it was determined that the future City should have 180.8 acres of permanent allotments and 129.4 acres of temporary (310.2 acres), compared with the current figure of 333.1 acres. Little of Parr’s 1951 plan was put into effect, and he retired in 1960, to be replaced in the new role of City Planning Officer by Wilfred Burns. Burns’ 1963 plan for the city also had major implications for allotment provision. This proposed a reduction in allotment provision from 297 acres (1960) to 157 acres. Burns’ rather censorious view of the city’s inhabitants – slum-dwellers, he held, were “people who have no initiative or civic pride” whose communities should be broken up – extended to their allotments, which had “a depressing appearance” of “temporary huts” and should be replaced by model allotments. His tidying-up would especially have affected two areas of allotments. On the Town Moor, existing allotments would be cleared but new areas on the Moor set aside, and provision of allotments was included in the brief for entrants to the Town Moor landscape design competition being held. In the Ouseburn Valley by Jesmond Vale, four small allotment sites would be replaced by a new site on made-up land formed by infilling a further length of the valley, between Chelmsford Grove and Stratford Road West. The Town Moor proposals appear to have been met with glazed resignation, but the Committee expressed strong resistance to the Jesmond Vale proposals, pointing out the utility of the existing sites and adding tartly that “the attention of the Town Planning Committee should be drawn to the difficulties of using newly tipped land for allotments”. Eventually sense prevailed: two of the sites were saved and further plots were provided on the valley side, while the infilling plan was dropped. Local government re-organisation in 1974 saw the urban districts of Gosforth and Newburn, and part of Castle Ward rural district incorporated into Newcastle, together with their allotments, including some National Coal Board sites which were subsequently acquired by the Council. The last decades of the twentieth century saw expansion of allotment provision in newly-developed outer districts of the City – for example, at Newbiggin Hall, while, as noted above, some major Town Moor sites were lost, and the 1990s saw a major controversy over the future of the Rectory Road allotments in Gosforth. But any hopes that a period of stability had set in by the late 1990s were to be denied with what can justifiably be claimed to be the worst scandal concerning allotment provision in Britain in the course of the century. In September 2009 the City Council stated that 2,000 tons of ash from the Byker waste incinerator had been used on footpaths at 44 sites, including 28 allotment sites, across Newcastle. Tests from the sites showed extremely high levels of contamination from residual toxins in the ash, and the consumption of eggs and produce from 22 sites was prohibited. In 2002 the Council and the incinerator operator were both fined for breaking environmental protection laws. However, steps were quickly taken to remove the contaminated material and to provide advice and reassurance to allotment holders. A follow up report by Newcastle University in 2001 found that levels of dioxins and heavy metals in vegetables grown on affected plots were minimal, and well within recommended guidelines. The affair marked a low point in the Council’s long and largely creditable history of allotment provision. Nevertheless, the same period saw the formation in 1999 and formal constitution (in 2002) of the Newcastle Allotment Working Group (NAWG) representing all the allotment associations in the City. Over the past decade NAWG has worked closely with the Council and has been active in assisting, encouraging and advising local associations on the improvement of facilities. The collaborative model established in Newcastle, building upon the city’s tradition of self-governing allotment associations, is proving a solid foundation for future progress. The above history of allotments in Newcastle upon Tyne has been prepared for the Newcastle Allotments Working Group and Newcastle City Council and was published on the Newcastle Allotments Working Group website. Situated between Jesmond and Gosforth in the heart of Newcastle upon Tyne, High West Jesmond is a thriving urban community that has used the green open space of The Valley and Little Dene and Town Moor for generations. 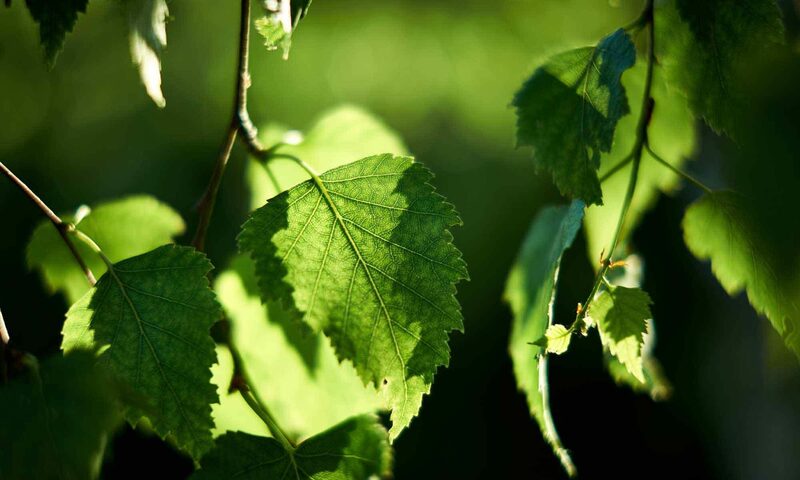 Welcome to our site – find out more about our community.